I finished another wholesale order last week. I made two owls and 10 coffee cozies for The Good Cup in Franklin. I did manage to photgraph the owls, but not the cozies. 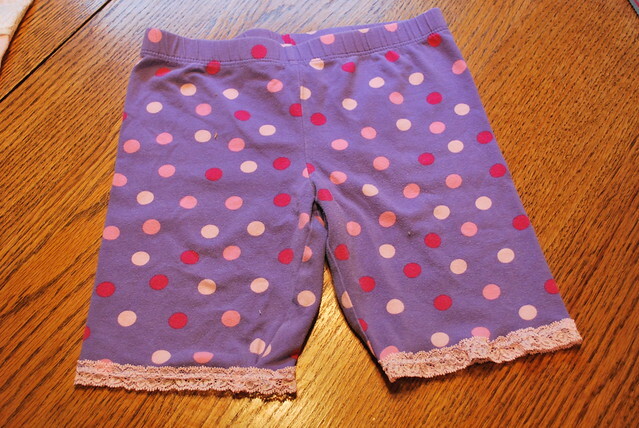 I also finished a couple more pj shorts for Harper. For the first pair, I just cut off the legs of a pair of leggings that had holes in the knees. Then added some stretch lace. Ta-da. For the second pair, I used a t-shirt I had in my stash. 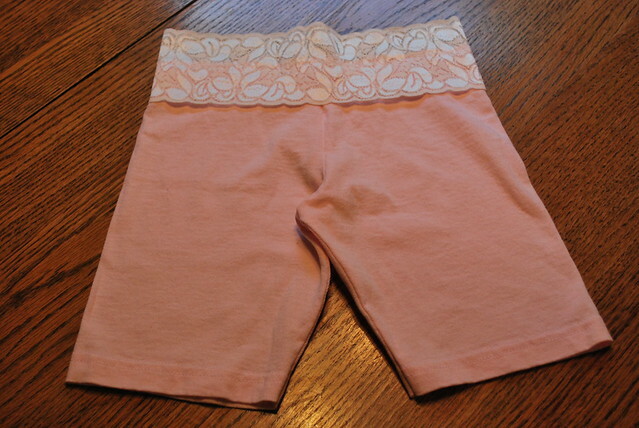 I used the hem of the shirt for the hem of the shorts and added a wider stretch lace to the top. Easy peasy. I finished both pair in about 30 minutes. Can't you tell stretch lace is my new best friend. I refashioned a dress into a skirt for me, but did not take photographs. It was just a matter of cutting off the top part of the dress and adding a little elastic to the waist to make it a skirt. Then I fixed some tank tops that were to big for Harper. I am finally making a little progress on my to-do pile. You've been busy....and I love it. I just adore using wornout stuff to make new stuff. so fun! I am really liking the lace trim. 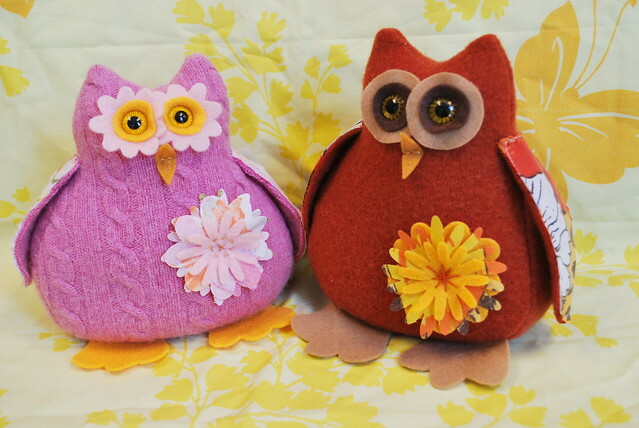 Can't get over how cute all your owls are, I hope you are getting a good price for them....they are adorable! LOVE your owls...Addie just saw the red owl and said, "OH, I want that one, Mama!" You have fans all over the place, Jen! I have all kinds of leggings that need to be made into pj pants or shorts for under skirts! I need to find some of that stretch lace, too! Sorry I missed this last week...great job on the shorts! Those look super comfy. Of course, the owls are adorable, too.